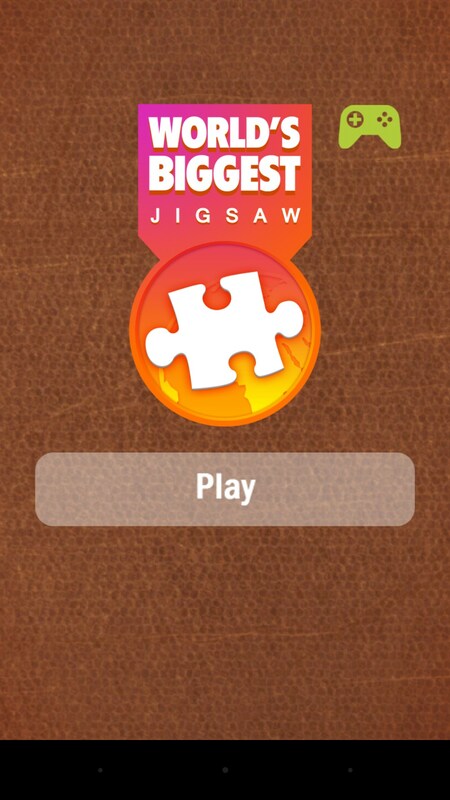 World's Biggest Jigsaw – Games for Android 2018 – Free download. 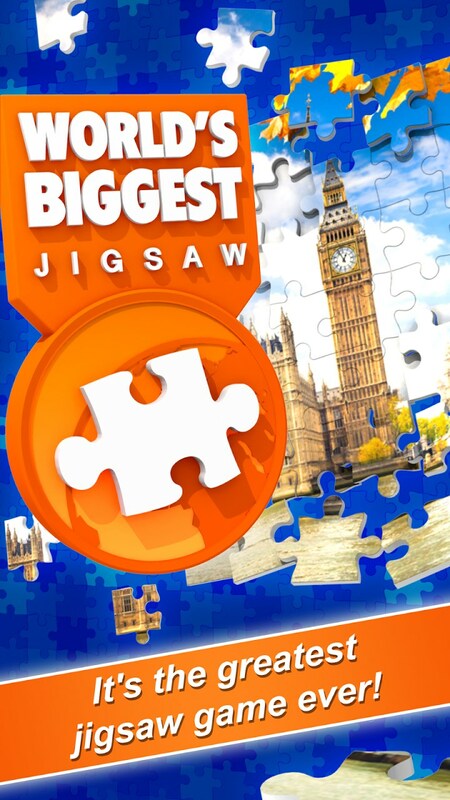 World's Biggest Jigsaw – An interesting collection of puzzles. 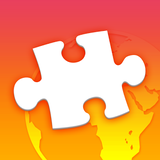 World's Biggest Jigsaw (WBJS) for Android is a jigsaw puzzle game formed out of 400 jigsaw puzzles laid out in a grid. They range from 9 pieces up to 100 pieces each, so there's loads to keep you busy for both short and longer periods of time. 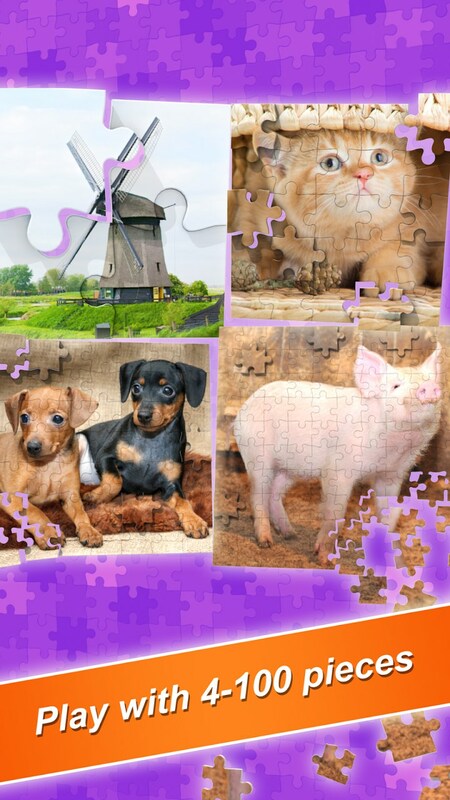 The design of the jigsaw puzzles is top notch, in all respects. The images are really high quality, and range from easy designs (an elephant) to pretty hard (a photo of a flamingo's wing). 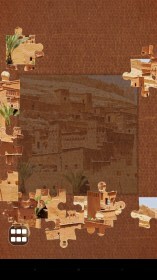 They way they work is great too, and remarkably close to the feel of real jigsaws. 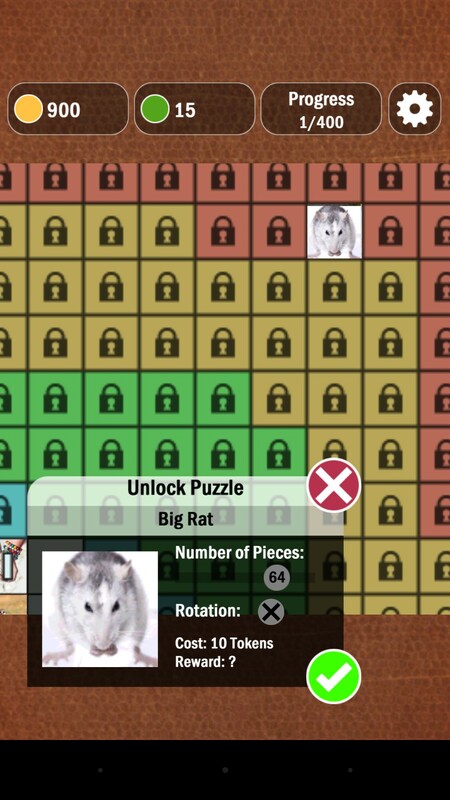 There are extra options where you can hide or unhide the non-edge pieces (every puzzler knows, you start by doing the edges). 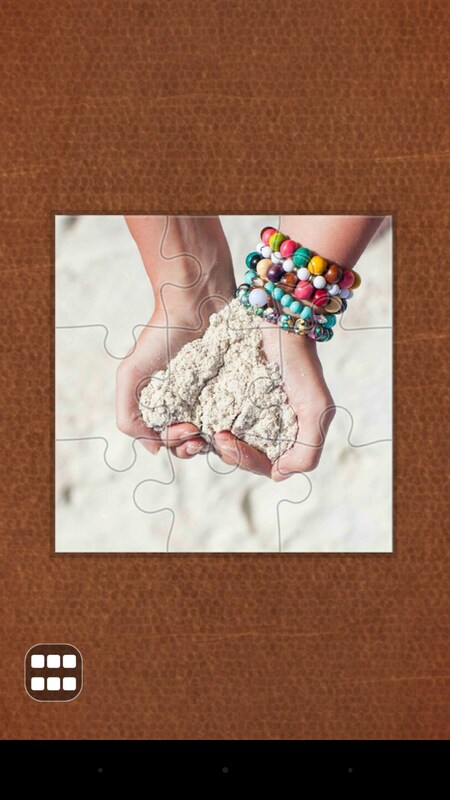 You can hide or unhide the photo you are completing. 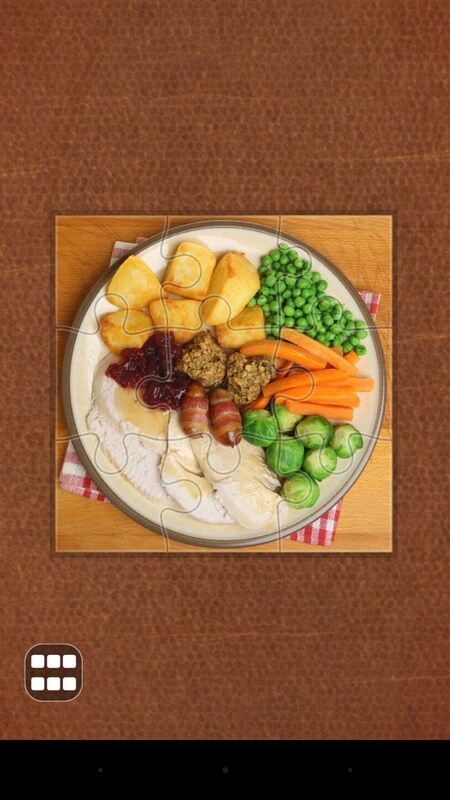 And you can shuffle pieces around - which sometimes helps you spot the odd match. The pieces are all different shapes, so that you can really see how some don't quite fit together (even if the images on them look like they might). You can snap pieces together and then move them around together before putting them into position. 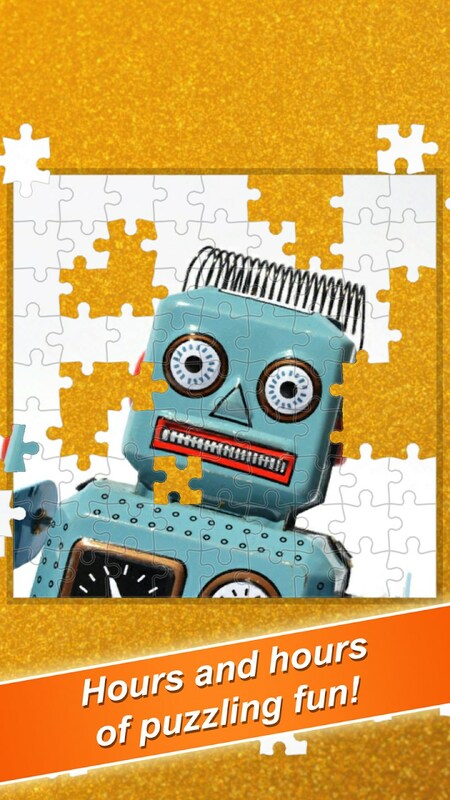 Some more difficult puzzles have pieces you need to rotate. 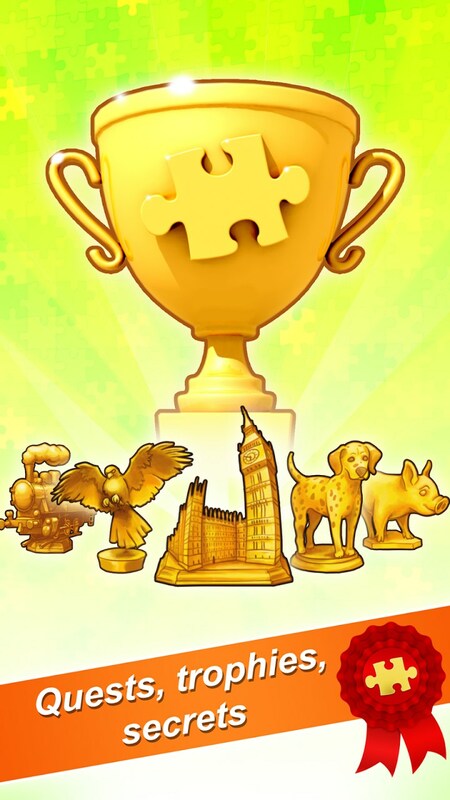 There is a token system which recharges, with bigger puzzles being more tokens, and you win more after finishing each puzzle. The ones in the middle are the smallest ones, and you work your way outwards. I'm seriously impressed with this. I'm sure it's even better on a tablet. 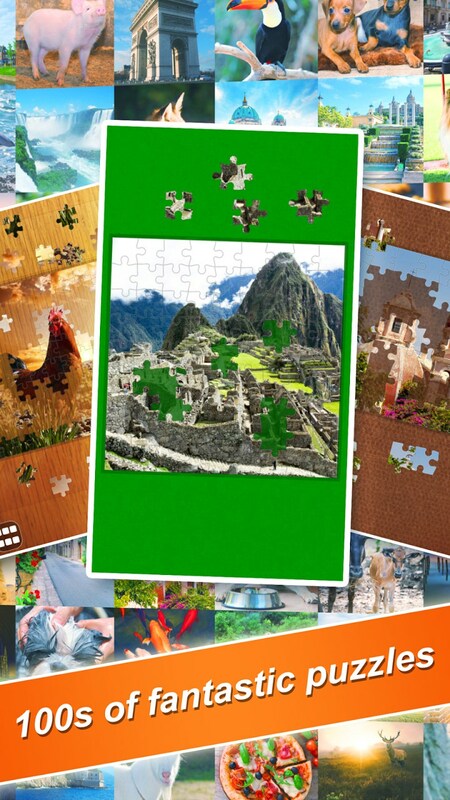 But op it's a credible jigsaw experience even on phone, with most of the same mental challenges you far with traditional jigsaws.